The interview and the demonstrations have something in common: they all mock justice, truth, and basic human decency. The protesters did it by pretending to care about a nation they abandoned while living wealthily in diaspora; Afewerki did it by continuously lying through his teeth. Facts speak for themselves. Facts cannot be denied. Jane Dutton presented the complacent president with fact after fact, stating that everything had been documented and attested to by named sources and yet all he could reply was ‘show me the evidences’ (sic). Of course, Blackberries, laptops, Simcards and the like were all removed from the Aljazeera crew upon arrival. Afewerki had the gall to tell the journalist that what she said, which were simple statements of unpalatable fact, was a ‘mockery of justice and history’. Nothing is ever Afewerki’s or his government‘s fault. Everything is the fault of ‘the Americans’. Every despot needs a scapegoat. He contradicted himself continuously, sometimes within the same sentence. His version of Eritrea, and it must be realised that it is a fantasy version he is trying to sell along with the happy-clappy dancing which takes place only feet away from police beating up women and children in the streets, is a country of ‘limited resources’ one moment and yet it can ‘arm three or four governments’ the next. When Dutton mentioned Israeli planes that stopped armed shipments from Eritrea via Sudan to Hamas, he pretended to look surprised and asked “Where are the evidences?” When Dutton said, “It is well documented that you are helping Iran send arms to Yemen to help the Houthi,” his only reply was, “Where are the evidences?” “Eritrea spends 200-500,000 dollars a month supporting fighters in Somalia…” “Where are the evidences?” The evidence is EVERYWHERE for anyone with an Internet service outside of Eritrea to access. But, of course, he dismisses it all as a ’conspiracy’. When this does not distract her (would it distract even a child?) 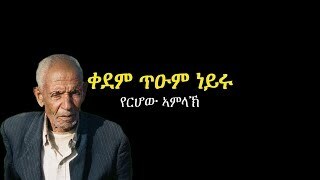 he resorts to another lie: “Anybody can leave the country.” “Anybody who has a passport?” “Any deserving citizen gets a passport.” Which means that Afewerki considers most of the Eritrean population to be undeserving of citizenship? She mentions the football team that disappeared in Kenya rather than return to this wonderful Eritrea he was trying to conjure. At this point Afewerki, like a criminal caught red-handed, resorted to much blinking and a silence that failed to mask his concentration. It was almost possible to believe that he really did not know about it, that perhaps his sycophants were too scared to tell him the bad news - after all, the only news that’s fit to print in Eritrea is the good news, of which there is none. Afewerki sits in front of the Eritrean flag in a short-sleeved shirt, his fingers flexing as he denies that there was ever an assassination attempt. “You’re assuming that you’re talking on behalf of the people of this country,” he tells Dutton. “Let the people talk,” he insists. Which people? The ones in diaspora ignorantly and coerced to demonstrate against entirely reasonable sanctions? Surely not the ones in prison for writing the truth or speaking it in any form not approved by the state? Surely not the ones summarily imprisoned, tortured, executed, or shot dead on sight as they try to leave this paradise that all those demonstrators in diaspora also felt compelled to leave? Does he mean the people in detention centres and concentration camps waiting to be returned to almost certain death, should they talk with their confiscated mobiles? Dutton is brave, much braver than Afewerki evidently gave her credit for, but she was not foolhardy. She doesn’t say these things; she doesn’t call him a liar. 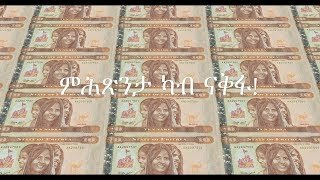 He denies one sad, sorry fact about the hell he has made of Eritrea and she presents him with another, and another. He blinks, he swallows, and he fiddles. These are all signs of a liar. 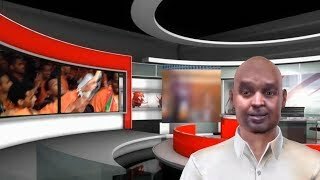 You can read about the demonstrations on Shabait.com which claims to be ‘serving the truth’ or should that read ‘self-serving and self-justifying’? The ‘hundreds of thousands’ of demonstrators obviously share Afewerki’s powers of denial. The demonstrations were staged in Washington D.C. and San Francisco in the USA, Geneva at the European level, and in Canberra city, Australia. The participants took it upon themselves to speak for Eritreans ‘inside the country’ as if these poor and starving Eritreans could speak for themselves. The demonstration in Geneva in which ‘tens of thousands of Eritreans from all over Europe and foreign friends of Eritrea took part’ was transmitted live via ERI-TV and Dimtsi-Hafash. Never mind that if anybody tried to demonstrate in Eritrea against their own government, they would be beaten, imprisoned, tortured and murdered. The participants said that the demonstration ‘laid bare the conspiracy’. We must have missed something since we saw no one laying bare the conspiracy of silence by those ’friends of Eritrea in diaspora’ who support the starving and torture of their own people by their own leader in their own country. 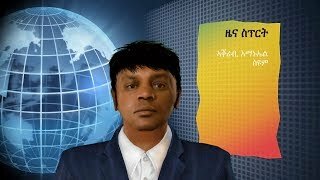 Shabait.com continues to state that some Eritreans ‘acting as journalists’ compiled reports about the events which they sent to various websites. Well, ‘acting’ is right since any real journalism is expressly forbidden in Eritrea. For the truth one should read disinterested reports by Human Rights Groups from nations all over the world, from people without a political or financial agenda who want to stop the misery perpetuated by Afewerki and, by extension, these heartless demonstrators who are prepared to see Eritreans in Eritrea continue to suffer while they live comfortably protected in countries that do make promises, and even stick to the constitution every once in a while, even if sometimes they break them. Someone should check the bank balances of some of the demonstrators who love their country so much, but they cannot stand to live in it.